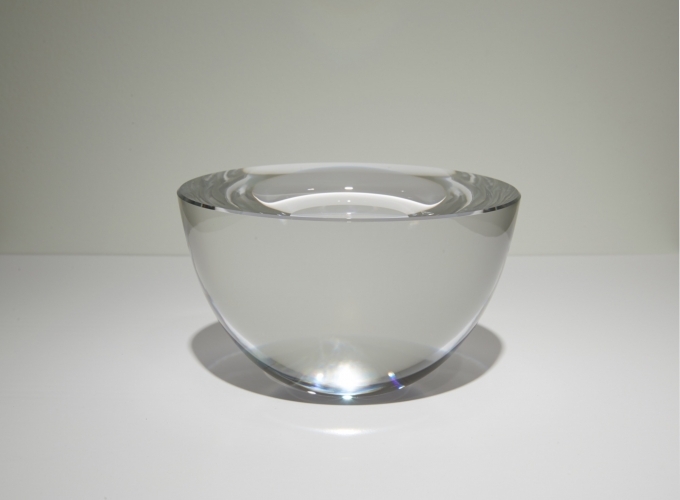 The gallery is delighted to announce the exhibition Ressonância, Resonance, Resonanz. The exhibition brings together works in diverse media by three artists - Iran do Espírito Santo, Callum Innes and Wolfgang Laib - which, whilst seemingly very different, share many conceptual, intellectual, formal and emotional resonances. The opening will take place on Friday, December 12, from 6pm until 8pm. The carefully selected works included in the exhibition juxtapose varied conceptual interests that reveal the shared sensibility of the three artists. Iran do Espírito Santo's sculptures re-present ordinary items, such as cans, boxes, mirrors and various commonly-used everyday objects, rendered in alternate materials. In executing the works with extreme care and precision, Espírito Santo consistently achieves perfection in the rendering of his sculptures. 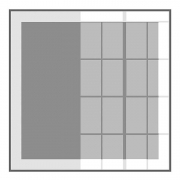 Restless 20, a sculpture consisting of a single sheet of glass with various surface treatments of transparent, sandblasted and mirrored glass, disorients the perception of the viewer, creating an illusion of stacked materials lent against the wall. 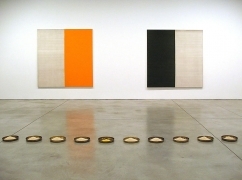 Callum Innes's highly disciplined technique involves applying paint to the canvas, and utilizing turpentine to remove some of the paint before it completely dries. 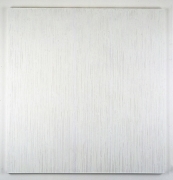 Innes applies and removes the paint over and over, his process being time-dependent. There is a crucial point at which the artist surrenders control of the process, when the surface starts to deconstruct as turpentine 'unpaints' the canvas, rendering veils and streams of liberated pigment. 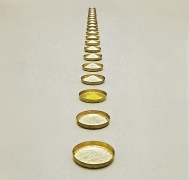 Wolfgang Laib's installation, The Rice Meals, over fifty-three feet long, is comprised of thirty-two brass plates with mounds of rice, and one brass plate with hazelnut pollen. 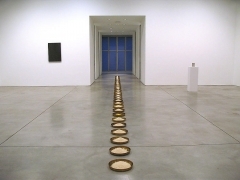 Installed in a straight line, the sculpture bisects the gallery and acts as the metaphorical spine for the exhibition. 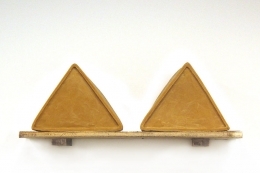 Laib utilizes materials from nature such as beeswax, pollen and marble in his sculptures. Each is treated with great care over extended periods of time, whether preparing a milk stone or painstakingly collecting pollen by hand. 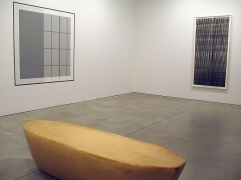 The exhibition presents a selected group of each artist's work in relationship and resonance to the other artists' pieces. The proximity of the works creates an opportunity for reexamining and reinterpreting each artist's oeuvre. 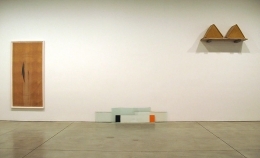 Iran do Espírito Santo has exhibited extensively worldwide, his work was featured in the 2007 Venice Biennale and a recent retrospective toured venues such as MAXXI, Museo Nazionale delle arti del XXI Secolo, Rome, Italy, the Irish Museum of Modern Art, Dublin, Ireland and the Pinacoteca do Estado in São Paolo, Brazil. Espírito Santo's work is included in the collections of many prominent museums including the Museum of Modern Art, New York; the Guggenheim Museum, New York; The Museum of Modern Art, San Francisco; the Museum of Contemporary Art, Chicago; and the Irish Museum of Modern Art, Dublin. Currently his work is included in the 28th São Paolo Biennale, Brazil. 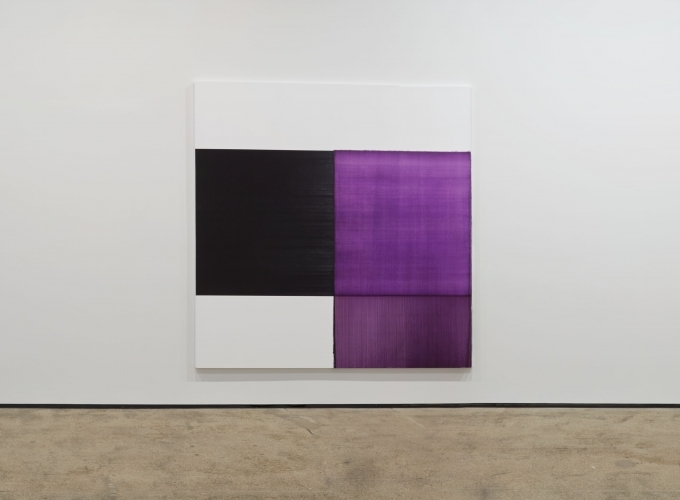 Callum Innes is one of the most significant abstract painters of his generation, achieving widespread recognition through major solo and group exhibitions worldwide. 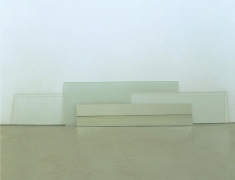 Innes was short listed for the Turner Prize in 1995 and was awarded the Jerwood Prize for Painting in 2002. Solo exhibitions include the Tate St Ives, St Ives, England; the Henry Art Gallery, Seattle, Washington; The Pier Arts Centre, Stromness, Orkney, Scotland; the Irish Museum of Modern Art, Dublin, Ireland and the Kunsthalle Bern, Switzerland. Recently his solo exhibition at the Fruitmarket Gallery in Edinburgh traveled to the Modern Art Museum in Oxford and Sydney's Museum of Contemporary Art, Australia. 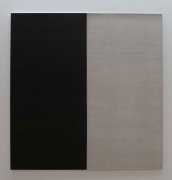 Callum Innes's work is included in the collection of many prominent museums such as the Guggenheim collection, New York; The Museum of Modern Art, San Francisco; The Tate Gallery, London; The Irish Museum of Modern Art, Dublin among many others. 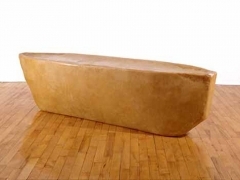 Wolfgang Laib has exhibited at two Documentas, 1982 and 1987, and represented Germany at the Venice Biennale in 1982. Major exhibitions of his work have been mounted at the Kunstmuseum Bonn, Germany; The Museum of Contemporary Art in Los Angeles; The Fondation Beyeler Riehen, Basel, Switzerland; The National Museum of Modern Art, Tokyo, Japan; Museo Nacional Centro de Arte Reina Sofia, Madrid, Spain and Musee de Grenoble, Grenoble, France, to name a few. 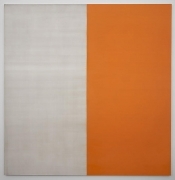 A major American retrospective toured venues such as The Hirshhorn Museum, Washington DC; The Henry Art Gallery, Seattle, Washington and The Dallas Museum of Art, Dallas, Texas. 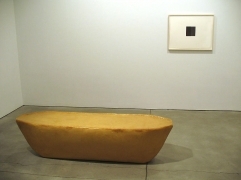 Wolfgang Laib's work is included in the collections of many prominent museums including The Museum of Modern Art, New York; The Hirshhorn Museum and Sculpture Garden, Washington DC and Centre Georges Pompidou, Paris, among many others.ery will be closed from December 25, 2008 through January 1, 2009.